As a kid growing up in southwest Virginia, I feel like I never truly appreciated the level of jaw-dropping beauty that surrounds us here in this state. I could literally see fluffy green mountains in multiple directions from my hometown! But I didn’t start hiking in the Appalachian mountains until high school, and for the longest time, I was convinced that everywhere else was prettier than these places right in our backyard. Over the years, I finally came to appreciate just how incredible, dynamic, and beautiful the landscapes that surround us literally up and down the entire state really are. 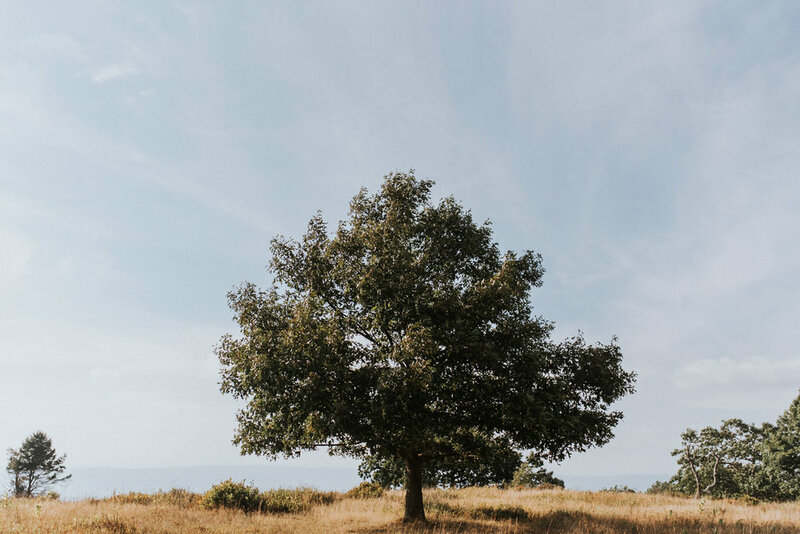 When I first set out down my path to becoming a wedding + elopement photographer, I really wanted to use this work as a way to both bring me closer to these natural spaces and maybe do my little part to help others appreciate how lucky we are here in Virginia, too. At first, I had a surprising amount of trouble finding information on beautiful, accessible spots to bring couples, but now, after nearly five years of centering my brand around adventure + the magical outdoors - and as someone who just really enjoys hiking - it’s safe to say I’ve spent my fair share of time exploring the mountains up and down the Appalachian spine of VA and know these places pretty dang well. 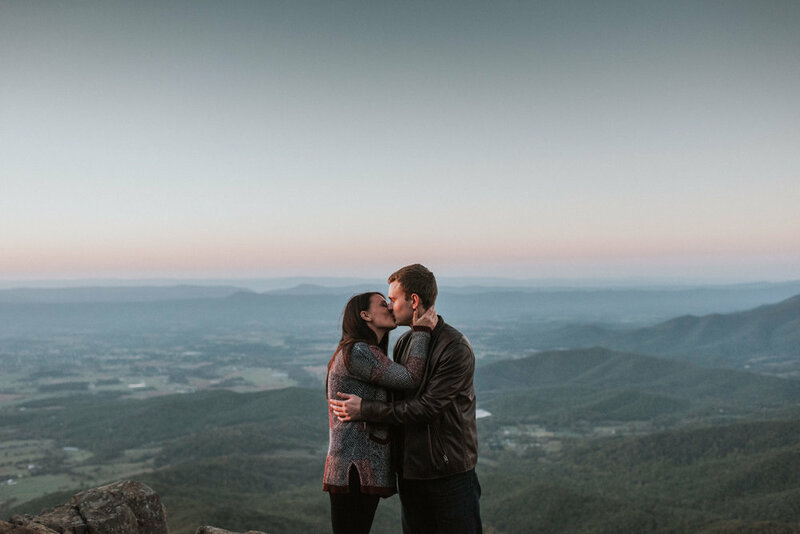 So I want to share a little of what I’ve learned about engagement sessions in Shenandoah National Park and the mountains throughout Virginia and hopefully make it more approachable for others. Here’s a list of a few of my favorite spots for adventurous engagement sessions in Virginia. This one is my first go-to for couples looking for accessible, jaw-dropping mountain views. Raven’s Roost Overlook is situated near the northern end of the Blue Ridge Parkway at mile marker 10.7 and tops the list for me because it’s an easy (and beautiful) 45 minute drive from Charlottesville and requires absolutely 0 work to get incredible vistas. The pictures above were taken a two minute walk from the parking lot. Here’s a full session from the overlook. While there’s not a huge amount of ground to cover here, nowhere else I’ve visited quite matches Raven’s Roost’s unique mix of beauty and ease of access. You can wear whatever you’d like and not have to worry about a long hike to get to these views, so this is perfect if you’re looking for photos that make it look like you really worked for the views but also really want to rock a lovely dress. It’s like a drive-in movie… where the movie is nature. I consider this one a bit of a hidden gem… only because it is really far from everything else in the state. Pretty sure if you looked up the definition of “middle of nowhere,” you’d find a picture of Grayson Highlands. This state park is home to the highest peak in Virginia (Mt. Rogers, 5728’!) and is nearly as far south-west as you can get while still being in Virginia - a solid 4.5 hour drive from Charlottesville, or about a 6 hour trek down I-81 from NOVA - and cell service isn’t really a thing out there. I finally made the journey for a late summer Grayson Highlands engagement session recently and I gotta say - it was well worth the trip. There’s a $10 entrance fee to enter the park, but so many beautiful hiking trails await you on the other side of that kiosk. 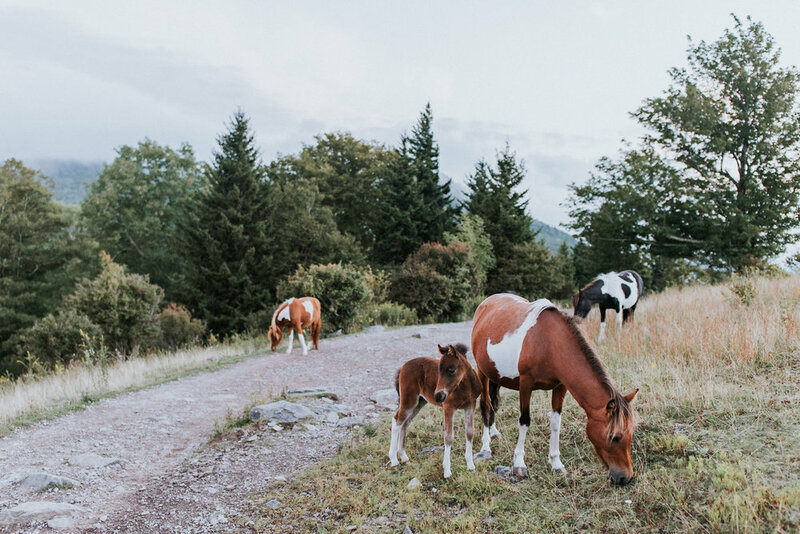 Calling Grayson Highlands famous would be a stretch, but its one minor claim to fame is the wild ponies that literally wander the trails and are seriously friendly AF. While we didn’t have the joy of meeting any of the Iceland-style super fluffy bois that can apparently be found here (heading back & finding one is legitimately at the top of my to-do list), we did cross paths with a bunch of these adorable buds multiple times, and it was as magical as it sounds. Add seriously-Olympic-National-Park-minus-the-snow-style vibes, temperate weather even in the heat of summer, incredible views for days… what more could you ask for? 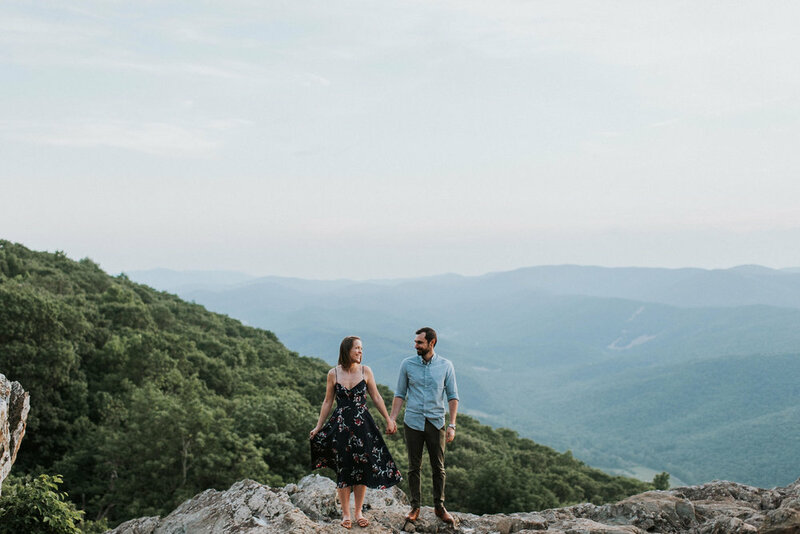 This was one of my first-ever Shenandoah National Park engagement session destinations and I kinda feel like I should’ve started at less gorgeous and worked my way up, because this one’s seriously hard to top. A couple disclaimers first: this viewpoint does require a hike of slightly less than a mile to reach. It’s well-blazed and an easy 20-minute trek, but does gain a decent bit of elevation. I’ve had couples wear hiking boots and then change at the top, but generally I just recommend taking it easy and walking slow. Also, the Stony Man peak is a very exposed piece of rock and the weather can be particularly unpredictable. High winds are pretty common, sometimes it’s foggy without warning, sometimes it’s totally clear with incredible sunsets - it’s kinda like a fun nature grab-bag every time. I personally love the wild weather and think it can make for beautiful + emotional imagery with a lot of motion, but it’s not for everyone. Definitely one of those spots that can be incredibly rewarding if you take a chance on it. 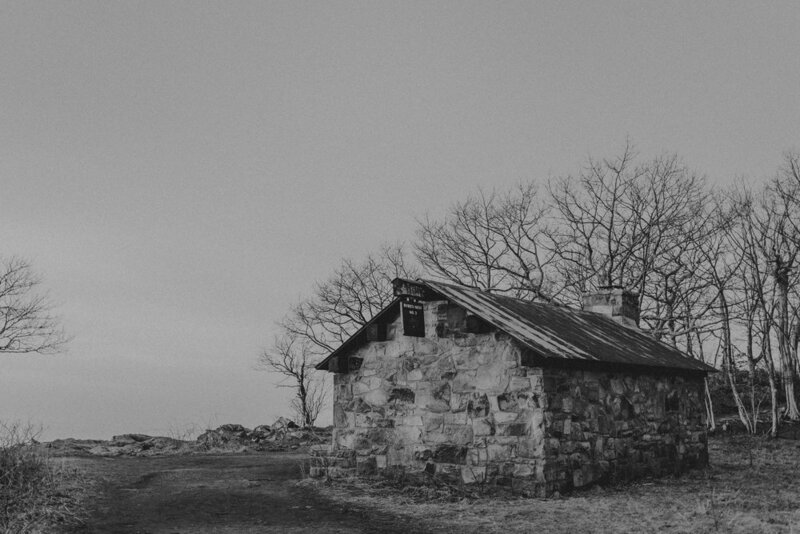 If the Grayson Highlands are not-that-well-known… then the Cold Mountain trail is basically uncharted territory. While it’s located along the Blue Ridge Parkway in theory, a drive off the beaten path to get to this spot on the Appalachian Trail. I’ve done it in a hatchback a couple times and survived unscathed, but there’s about two miles of serious dirt road driving leading up to this trailhead… so take it slow and be careful! While this is a full 6 mile loop trail when all is said and done, there’s a solid shortcut that can get you to the main views in just over half a mile. Much like Stony Man, it’s a fairly intense uphill jaunt, but the views at the top are seriously worthy of the effort. When you crest the trail, you exit the trees into a just-totally-unreal secluded mountaintop meadow that stretches for quite a ways. It gives me Scotland feels in the heart of Virginia. 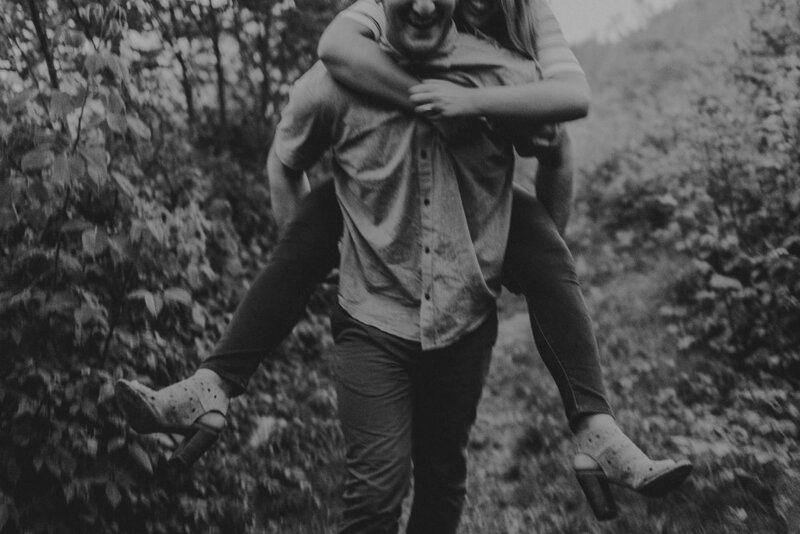 Despite being in the middle of nowhere, Cold Mountain is one of the most truly unique spots I’ve found for a Blue Ridge engagement session, so don’t let the remoteness scare you off. If you’ve ever driven the length of Skyline Drive, you’ve probably noticed this spot about midway through the park in Shenandoah National Park’s central district. It rivals Raven’s Roost in accessibility x beautiful views with a bit of the feel of Cold Mountain, all mashed into one incredible spot. While the mountain views are a bit more distant here than some of the other spots on my list, I’d say it makes up for it in vastness and the way it looks during a vibrant, golden sunset. Give me a killer sunset in these meadows and I couldn’t be any happier. Also, if you’re lucky, you’ll get a chance to meet the incredibly friendly deer of SNP in these meadows. They are unusually chill and will quite literally walk within ten feet of you when you’re not even looking. Who doesn’t love bonus woodland friends? Even if we’re meeting up for a Shenandoah engagement session elsewhere and you’ve never stopped at Big Meadows before, I would definitely leave some time for a quick pre-session detour to check out this spot just for funsies. The five spots above are my favorites from the past couple years and I could literally photograph them again and again, but is it weird that I also have a wish list of new spots I’d love to go in the future? 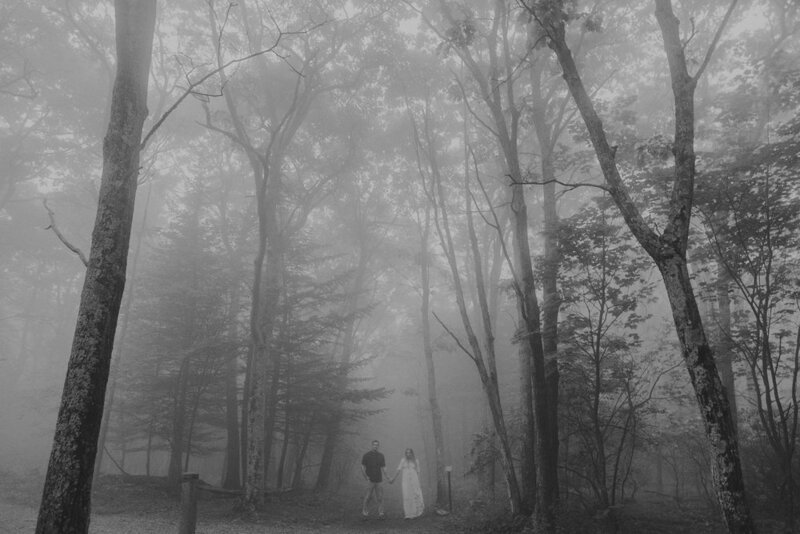 For me personally, whenever I see a new, beautiful vista in the mountains of Virginia, all I can imagine is how I’d photograph a crazy-in-love couple there. In no specific order, these are hikes throughout Virginia where I’d love to shoot a session in the near future. 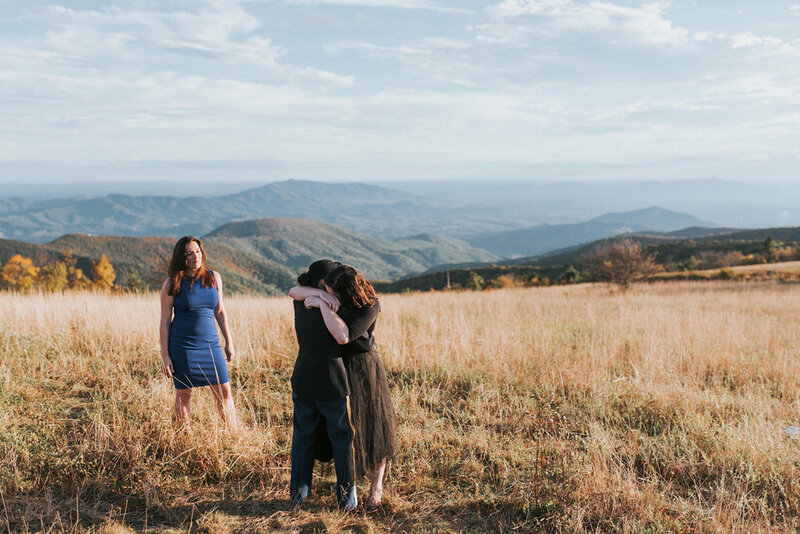 Feel free to ask me for more info about any of them if you’re interested in setting up a Virginia mountain engagement session at any of these places! On top of awesome viewpoints, I’m personally also dying to do an engagement session at one of the new Getaway Houses near Shenandoah NP. Minimalist, beautiful, and very cool camping vibes, if you’re looking for woodsiness sans hiking for your engagement. Hi! Thanks for reading this far. 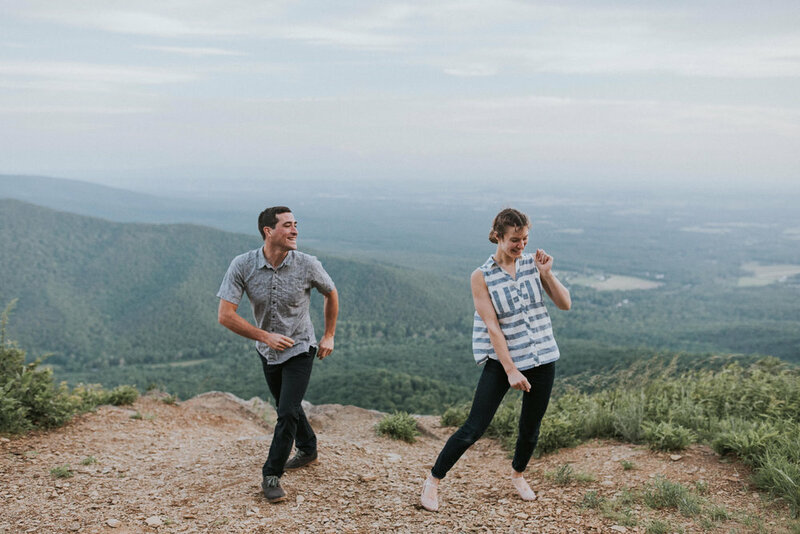 If you’re using this list as a guide for helping your own couples plan their Shenandoah, Blue Ridge, or elsewhere adventurous Virginia engagement session, I would strongly advise you to go check out the chosen hike on your own before bringing your couple along with you. While you can learn a lot from guides like this, AllTrails, the Outbound Collective, etc., hiking with engagement photography in mind is different than hiking for fun, and there are so so many ways to get lost, be unprepared, or otherwise put your couple in danger, and most of these locations are very remote with no reliable cell service. When you’re bringing a couple on a trail they’ve never hiked before as the sun is setting, that’s a lot of trust they’re putting on you! I personally believe the only way to live up to that trust is to do your due diligence and be able to tell them from first-hand experience how strenuous the hike you’re taking them on is, what to be prepared for, and that you know what you’re doing. The worst thing that could happen on an adventure engagement session would be to get lost and miss your sunset after your couple has driven hours for this experience, or for someone to get hurt in the middle of nowhere because they weren’t properly prepared. I know you’re going to make awesome art with your clients at any of these locations, just be safe! Lastly, as always - please, please, please respect these natural spaces and leave no trace. Virginia has so many incredible places to offer and they’ll only stay that way if we take care of them.